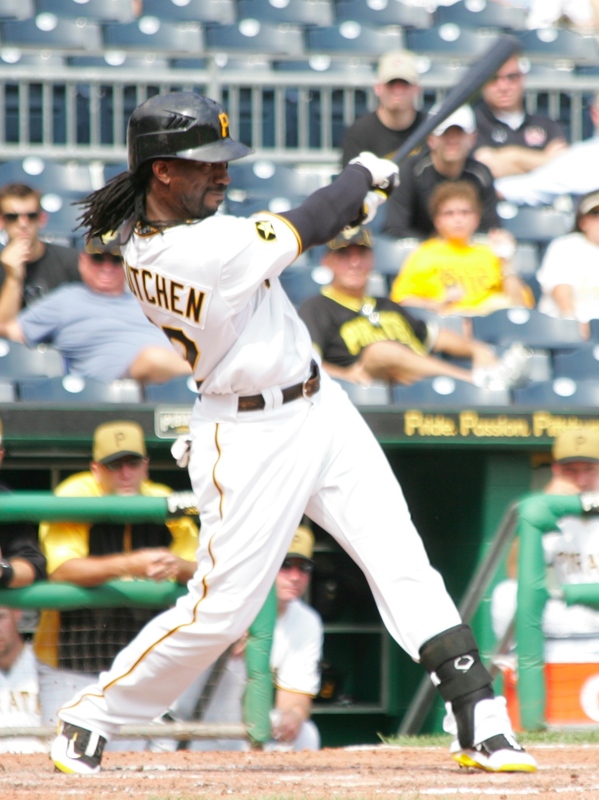 Finalists for the National League Most Valuable Player Award were announced on MLB Network tonight and Pirates Andrew McCutchen was named one of five finalists for the MVP Award. McCutchen, along with Milwaukee’s Ryan Braun, San Diego’s Chase Headley, St. Louis’ Yadier Molina and San Francisco’s Buster Posey were the others nominated for the award. McCutchen finished the 2012 season with a .327 average and a team and career-high 31 long balls while driving in 96 runs. The Gold Glove center fielder led the National League with 194 hits. With 31 home runs and 20 stolen bases this year with the Pirates, Andrew McCutchen became just the fourth player in team history to reach those totals in one season. McCutchen, Braun and Los Angeles’ Mike Trout were the only players in the Major Leagues this season with at least 30 home runs and 20 stolen bases. The last Pirates player to win the NL MVP Award was Barry Bonds, who took home the honor in 1992. The Baseball Writers Association of America members vote for the Award. The final MVP for the NL will be announced on November 16th, at 6PM ET on MLB Network.